Useful Servanthood introduces English-speaking readers to Abba Ammonas, disciple and successor of Saint Antony of the Desert and a prominent figure of fourth-century Egyptian monasticism. As a director of souls, Ammonas's approach to spiritual formation was a creative example of the spiritual gift of discernment. By examining Ammonas's writings and his ecclesial and political milieus, Dr. McNary-Zak shows how discernment functioned both in the abba-disciple relationship of the desert monks and in the life of the wider Christian community. Thus, Ammonas serves as a model for spiritual directors of the twenty-first century. 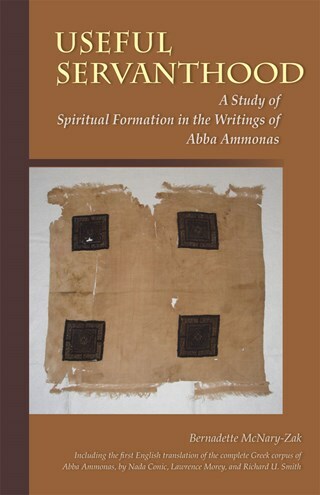 The second part of the book makes available for the first time in English the entire Greek corpus of Abba Ammonas’s writings.